In June, Matthew decided it was time to check out Willie's Pickin' Parlor here in Columbia, SC. We've been told about it since he moved down here and everyone said he'd love it, which we did! Willie arranged a time slot for him to play and the crowd loved him! Willie is a wealth of information, having been in the music business for decades, so he was a wonderful local source to get in contact with. If you're ever in the area looking for a fun evening filled with good music, you've got to check out Willie's Pickin' Parlor. 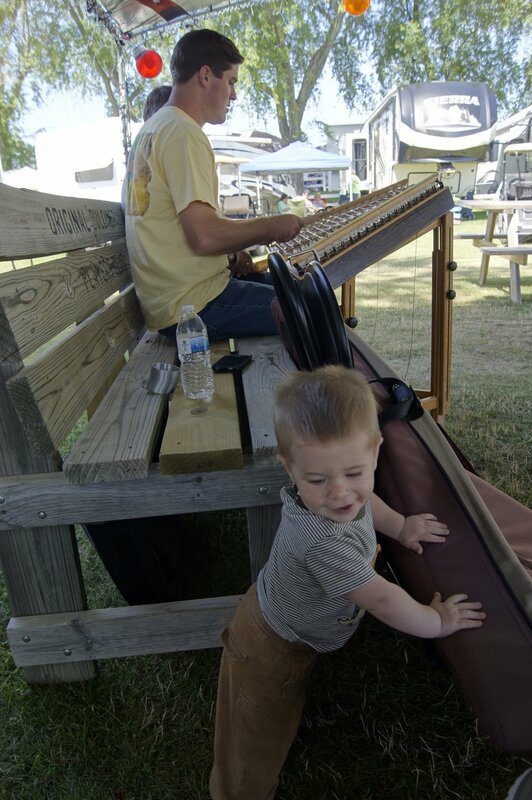 July found us in Evart, MI for the annual ODPC Evart Funfest! We again camped on the grounds, this time with our little fella, who although had a cold, slept right through the nightly jams! Matthew was able to teach several workshops and enjoyed talking and interacting with his attendees. He also had a Saturday evening performance where he kept the audience captivated with his music (as well as laughing at his Kermit the Frog impression while singing and playing "The Rainbow Connection")! Ben loves music (following in his Daddy's footsteps) and enjoyed listening to the daytime jams. One of the vendors took a liking to him and gave him with a beautiful, handmade pillow which he proudly carried around with him the rest of the day! What a sweet gift from a new friend! Matthew jamming out a tune with the Squirrel's Nest! We all thoroughly enjoy their liveliness! At the beginning of August we found out some exciting news! 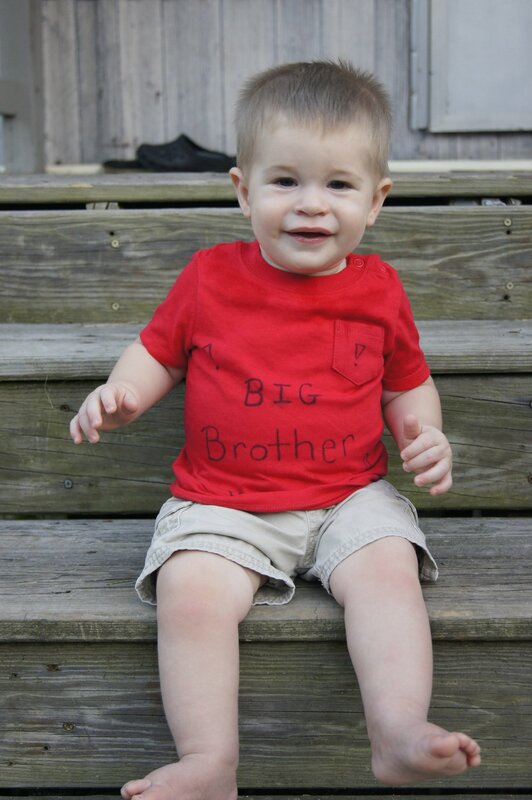 Ben is gonna be a Big Brother! We are expecting again, due around March 22nd! We couldn't be more excited and thrilled at this new little life the Lord has given us! Ben is a wonderful little fella and I'm sure he'll make a great big brother. 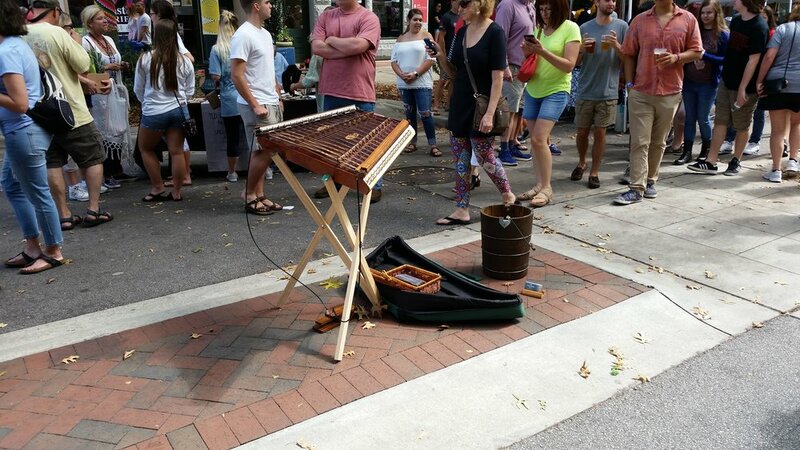 Our local Columbia farmer's market, Soda City Market, has been booming, so since the beginning of September Matthew has been back at playing on the street. It always amazes us at the crowd it attracts. Even those who wouldn't normally be interested in the particular genre, stop by to listen and comment just because it's such a different and unique instrument. Matthew teaching Ben his "trade"! 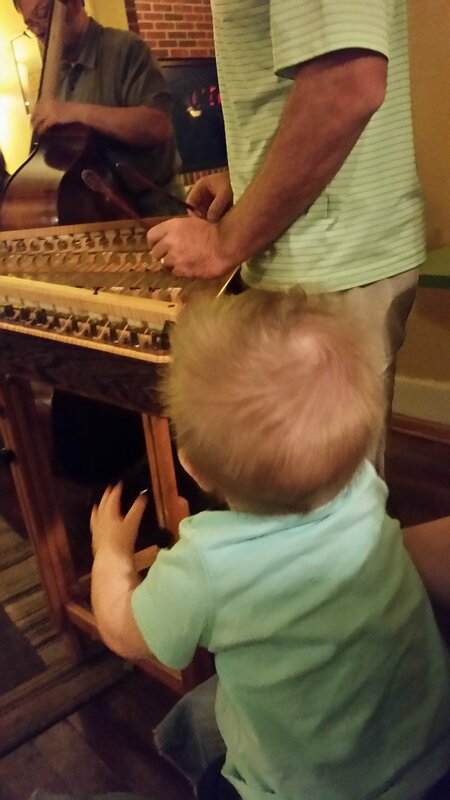 Like I said earlier, Ben loves music and his daddy and I couldn't be more thrilled! My parents are even getting him his own toy xylophone for his birthday so he can hammer like daddy! To finish off our summer, Matthew just bought himself a cajon drum as well as hi hat symbols to add to his musical instruments. He's been having fun trying to play guitar while using both new instruments through pedals, and I've been having fun listening to him! It's a little like patting your head while rubbing your tummy; it works all sides of your brain at the same time, but I have no doubt that he will get it in no time flat! Well, that was a quick, little recap of our summer. What has your summer looked like?